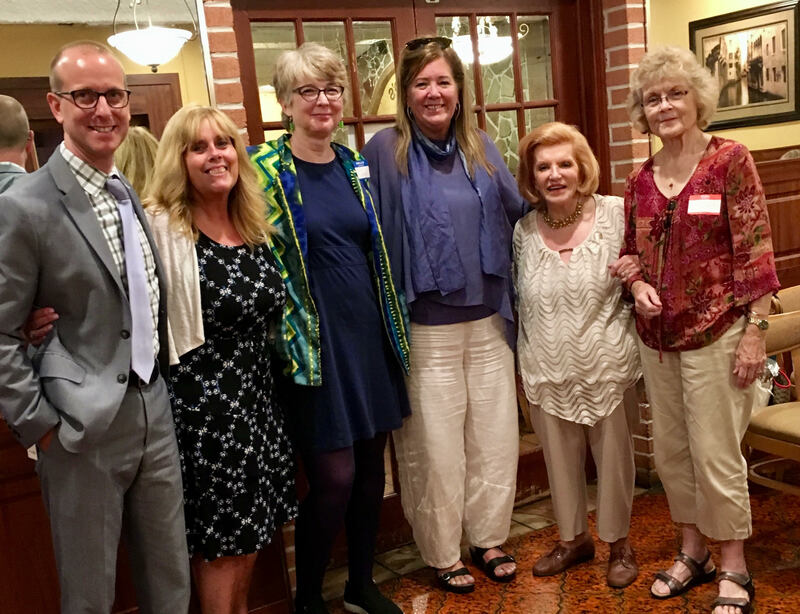 On Thursday, September 6, members of the Levittown Retired Teachers (LRT) held a meeting at Domenico's restaurant in Levittown. Attending the meeting in his continued support of our retirees was LUT President, John Caulfield. In addition to the great food, the highlight of the meeting was the guest speaker, American Federation of Teachers (AFT) Northeast Region Co-Director, Viri Pettersen. Pettersen taught the LRT members the Pledge of Allegiance in sign language. She also spoke with great passion and expertise regarding the issues now facing teachers and their unions, focusing on what retirees can do to help fight back in defense of the rights and benefits they earned throughout their careers. From left to right; LUT President, John Caulfied, LUT Past-President, Therese Rogers, LRT Vice President, Tammy Green, AFT Northeast Region Co-Director, Viri Pettersen, LRT President, Jean Fontana, LRT Secretary, Rosemary Pace. Ms. Petterson assists AFT President, Randi Weingarten, on many projects throughout the United States. She said that the AFT is fighting to protect pensions and social security; improve healthcare, wages, and infrastructure; and provide clean water in Detroit and Puerto Rico. Future meetings of the Levittown Retired Teachers are planned throughout the year. All retirees are welcome.